Treat yourself to a homemade, dairy free and sugar free chocolate bar for Easter! It’s very easy to make, especially if like me you always have coconut oil in your cupboard! I’m always on the look out for sugar free chocolate. You can buy dairy free, but refined sugar free is hard to find. I don’t eat refined sugar as it makes me feel dizzy and jittery! So I decided to make my own sugar free chocolate bar! I used agave nectar to sweeten the chocolate which is low GI and doesn’t give you that unhealthy sugar rush! Heat a pan of water on a low heat and place the coconut oil or cacao butter in a bowl over the pan. Slowly melt the coconut oil or cacao butter. Now add in the cacao powder and mix well with a metal whisk until it is smooth. Lastly add in the agave nectar and the salt and mix well. Now take the bowl off the heat and pour the mixture into a small, rectangular plastic container in the shape of a chocolate bar. Put in the freezer for 40 minutes. Remove from the freezer and using a knife cut the chocolate bar into a grid to make the chocolate segments. Now you can indulge in delicious chocolate! Treat yourself to this tasty raw mango cheesecake! Soak the walnuts in water overnight. Add all the base ingredients into a food processor and blend until the mixture starts to stick together. Scoop out of the food processor and spread evenly in the bottom of a cake dish with a spoon. Blend the cashew nuts until fine. Add in the other ingredients and blend until a smooth paste has formed. Pour into the cake dish over the base and spread evenly with a spoon. Put in the fridge to set for a few hours. Serve and enjoy! Store in the fridge. Eat within a week. Detox with this delicious, creamy green smoothie! The flaxseed provides added omega-3! Chop up the apple and add to the blender with the banana, dates and flaxseed. Cut the avocado in half, remove the stone and scoop out the flesh into the blender. Now add the spinach on top and pour in the almond milk and then the filtered water so it just covers the top layer of spinach. Blend on full power for 30 seconds. Pour into a glass and enjoy! This delicious, creamy, dairy-free banana and cashew ice cream has only two ingredients and is so easy to make! It is the perfect treat to cool you down on a hot summer day! The cashew nuts give it a wonderful crunchy texture. I usually treat myself to this ice cream for dessert on christmas day! The day before, cut the bananas into chunks and place in a container. Put into the freezer overnight. The next day, add the frozen banana chunks to the Vitamix blender straight from the freezer. Put in the cashew nuts and blend for 10 seconds until it forms a creamy ice cream! Scoop out into a bowl and serve immediately. Store in a container in the freezer. Indulge in these delicious chocolate snowballs, the perfect afternoon treat. Soak the walnuts overnight and soak the dates for 15 minutes. Add the walnuts to the blender and grind until small and crumbly. Cut the banana into small pieces and add to the blender, along with the dates, cacao, agave and salt. Blend to a thick and smooth chocolate paste. Put the desiccated coconut in a small bowl. Roll up the chocolate mix into medium sized balls in your hands. Roll around in the desiccated coconut until completely covered. Add to a container. Repeat the process. Store in a container in the fridge. Eat within a week. These tasty nori rolls are perfect for a light lunch in the summer. Lay out the nori sheets flat. Rinse all the vegetables. Add one lettuce leaf to the middle of each nori sheet. Cut the vegetables into sticks and layer on top of the lettuce. Add the hummus on top of the vegetables. Add the salt and pepper. Now carefully roll up each nori sheet into a tube. Cut them in half. Add the nori rolls to a plate and serve. Delicious, smooth and chocolatey mousse that is quick to make! Put all the ingredients in the blender. Blend for 30 seconds on full power until well combined. Pour into 4 dessert bowls. Refrigerate for 1 hour then serve. This colourful, fresh fruit salad is perfect for hot summer days. Slice up the banana and kiwi and dice the mango. Add the berries and raisins and arrange artistically. This is my favourite chocolate brownie recipe and it is so quick to make. 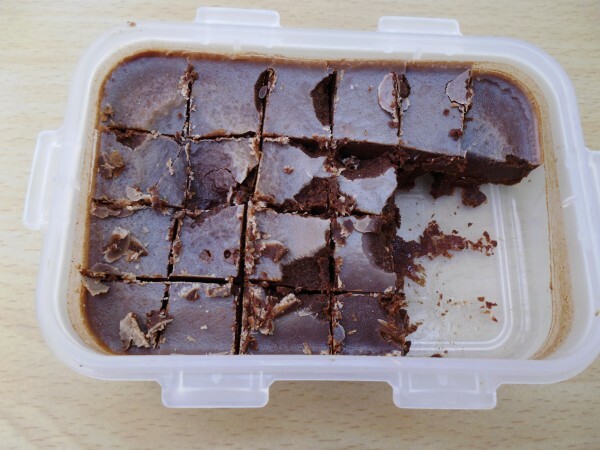 I make it regularly and take these tasty raw chocolate brownies out with me to have as a snack. It is high in magnesium with the cacao powder, which helps the muscles to relax so can ease cramps. And the walnuts are high in Omega-3-fatty acids, which are good for the skin. Firstly soak the walnuts overnight in filtered water. Put the walnuts in the food process and blend for 30 seconds. Add the remaining ingredients and blend for another 30 seconds until the mixture starts to stick together in a lump. Scoop the mixture out into a brownie dish and press down with a spoon until the mixture is evenly spread out. Put in the fridge for an hour. When chilled, slice into square pieces and wrap each piece in cling film for a portable snack!